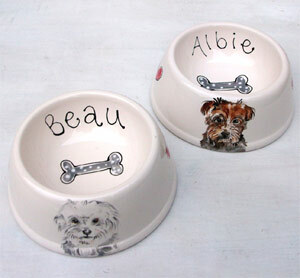 These Spaniel bowls are beautifully hand painted and personalised in a pottery studio in the UK. 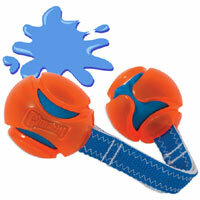 The special shape is tapered with a scooped out bowl space. 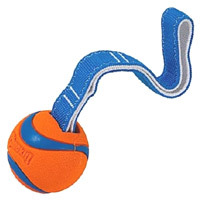 They are a great bowl for any dog but are particularly helpful at preventing long, floppy ears ending up in the dog food during meal times. These bespoke bowls feature not only your dog's name on the inside but also a wonderful portrait representation of your dog from the photo you provide, featured on the outside of the bowl. 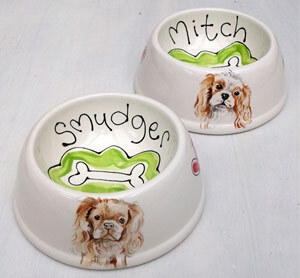 Each bowl also has two red hearts either side of the portrait and the choice of inside design - a bone painted on green or a grey dotty bone. 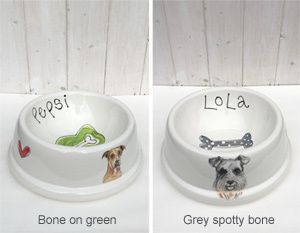 The bottom rim can be plain or finished with cute spots in the colour of your choice from the chart above. 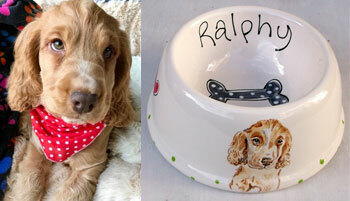 Simply choose your design, enter your pet's name and browse for your chosen photo of your pet. The fun and colourful illustrations are sketched and laid out before being carefully hand painted onto high quality earthenware pottery using underglaze paints. The pottery is then glazed and fired at 1200 degrees in a kiln to ensure a lasting finish that will be dishwasher safe and will not fade or peel. No transfers or cheap shortcuts are used. 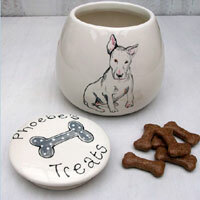 Each bowl is carefully hand painted just for you, with a small brush and a steady hand. 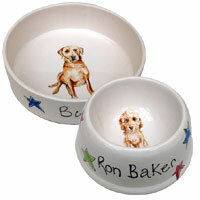 These bespoke bowls make a perfect and unique gift that will be admired and treasured for years to come. 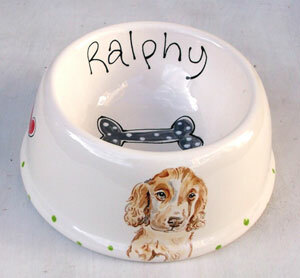 These bowls have angled sides and are often called spaniel bowls because they can help to keep long floppy ears out of food. 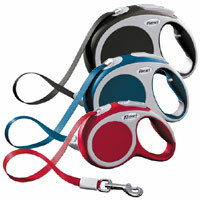 Please note that any accessories on the dog in the photo you provide will NOT be painted. Only the dog is painted. 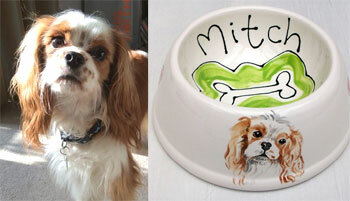 The painting of my pup on the bowl really sets it apart from the usual. Very pleased. 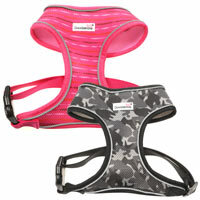 I was very pleased with not only the speedy delivery from D for Dog but also the quality of the product. 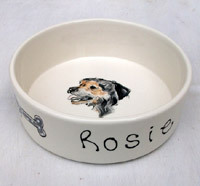 I was sceptical at first of how the hand painted drawing would turn out as my cocker spaniel is black but the artist picked out features from the photo provided to produce a true likeness. 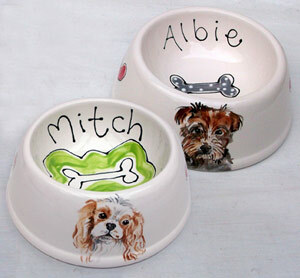 The bowl is fun and characterful and I can't wait for my family to see it on Christmas Day!